So I finally got the game. Why are CF->CAM cards so bloody expensive? SBCs I guess. Converting strikers to midfielders. I receive such a message and cannot use UT when I start searching for an extinct or non-existent item. Why? Finished my first Weekend league since FIFA 17 and went 18-12. Much better than I anticipated, also I had 2 alt tab games where i was winning, of course, so I could have got gold 1.
lol i guess i killed this thread! Lol no when mods come thread died. Can we even mention Kurt in here? He got banned by EA for speaking out negative about the game. 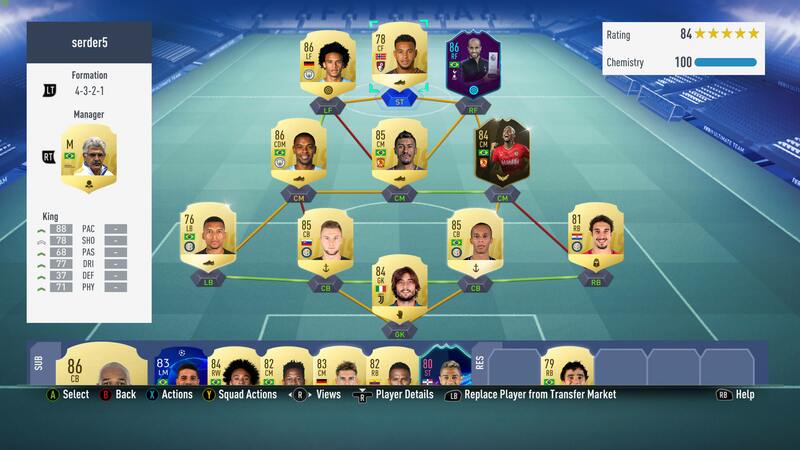 Try to name your squad "Kurt" in Ultimate team. You cant because its a censored word. after the ruling thing they have actually made kurt a censored word? no. ****. way. Yeah it's all over reddit. Hilarious if you ask me even if Kurt is a tool - his trolling is on point. I thought I was the only one lol. Happens so often and for some reason I havent seen a single person complain about it before.. If you shoot and a player is really close to you its going to be a goal kick.. So PC can partecipate at FUT Champions events now? They already have monster PC because of video editing, they just need to see that PC players can qualify and once it does happen PC playerbase will grow. Not if you turn on Vsync and triple buffering in the nVidia Control Panel, then the menus are 60 FPS as well. Already played more FIFA than in 18. Was gonna get Eriksen for my bpl team then compared him to swaps Lallana. That comes down to Lallana having more PHY and DEF. Those stats dont matter for the rating of a CAM at all I would guess.